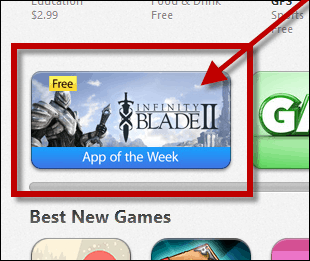 Infinity Blade II is the iTunes free app of the week for Apple mobile and tablet devices. You can find and download the app under the Featured section of the Apple App Store or simply click this link to download on any iOS device. Since its release on 12/1/2011, Infinity Blade II has won multiple awards and is ranked near the top of iOS action role-playing games. If you’ve never seen or played the game, here’s a quick description from the developers. Infinity Blade II will remain free on the iPhone and iPad through June 4th so grab a copy now before it returns to its normal price.